Amazing. 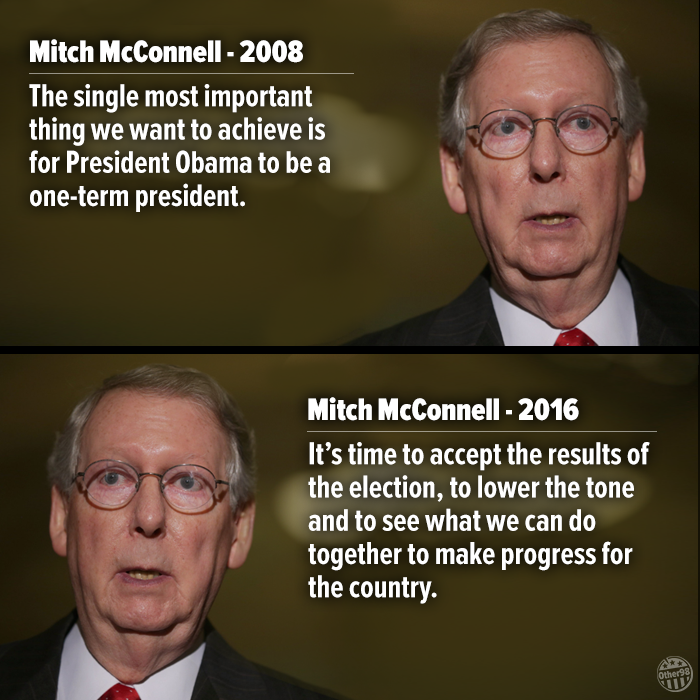 Dated in Feburary, 2009, McConnell insists that the FBI and Ethics letters are completed. Financial disclosures and tax returns, committee questionaires completed. 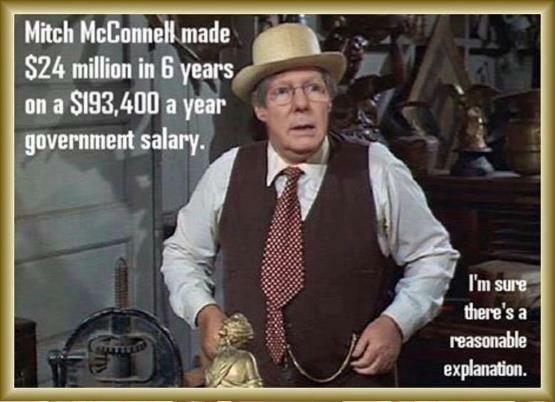 The corruption is going to be on a scale we have never seen in this country because Republicans will “plow ahead” rather then vet the appointments. Just like they didn’t vet Trump………. 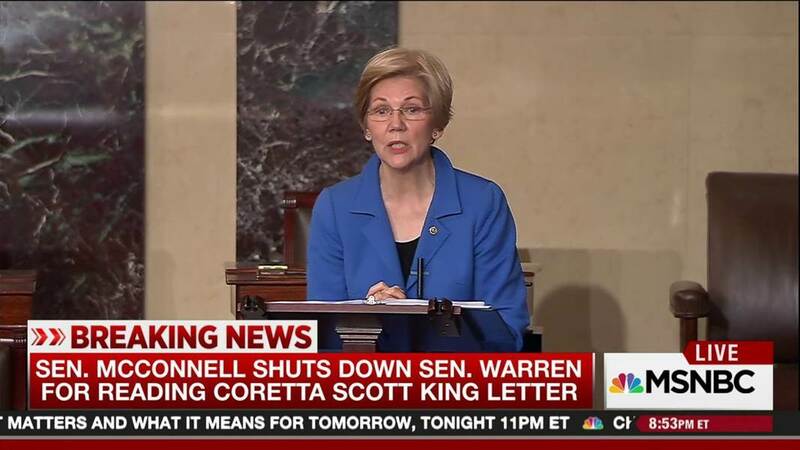 ‘Letter shows he demanded full financial disclosures before hearings’. ‘The Republican-controlled U.S. Senate plans to rush forward this week with confirmation hearings for many of Donald Trumps nominees for cabinet and other key executive positions. 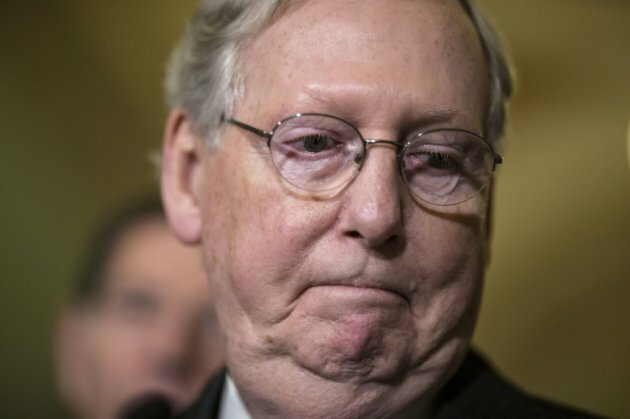 Though many of the picks have not yet completed the customarily required ethics clearances and background checks, Senate Majority Leader Mitch McConnell (R-KY) has shown no willingness to delay’. “They’ve made pretty clear they intend to slow down and resist and that doesnt provide a lot of incentive or demonstrate good faith to negotiate changes. 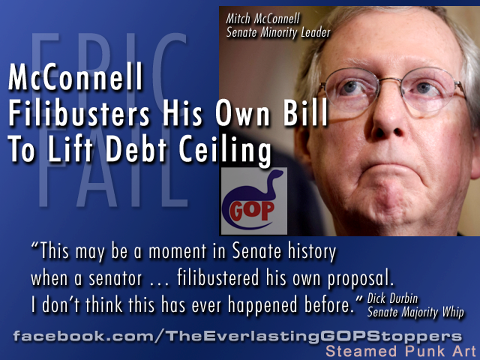 So I think were going to just be plowing ahead” his deputy, Senate Majority Whip John Cornyn (R-TX) told Politico’. 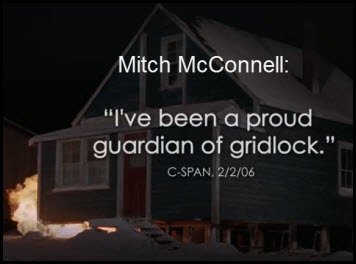 ‘But back in 2009, McConnell took the exact opposite view’. 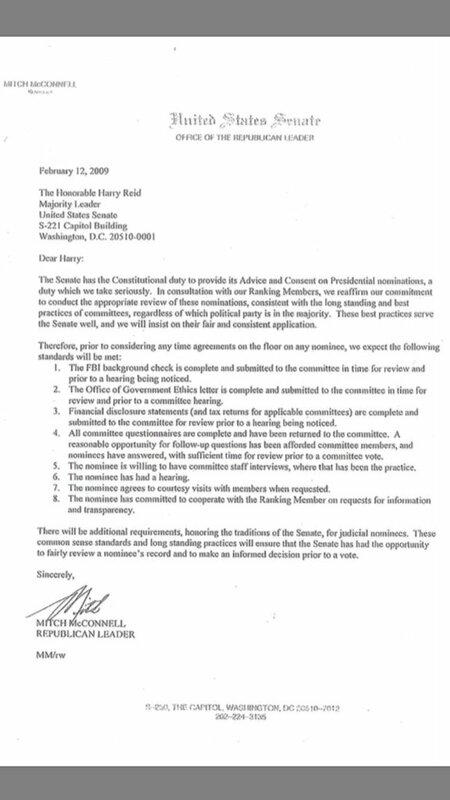 ‘A letter to then-Senate Majority Leader Harry Reid (D-NV), posted on Twitter by Citizens for Responsible Ethics in Washington shows he demanded that financial disclosures must be complete before any confirmation hearings be scheduled’. 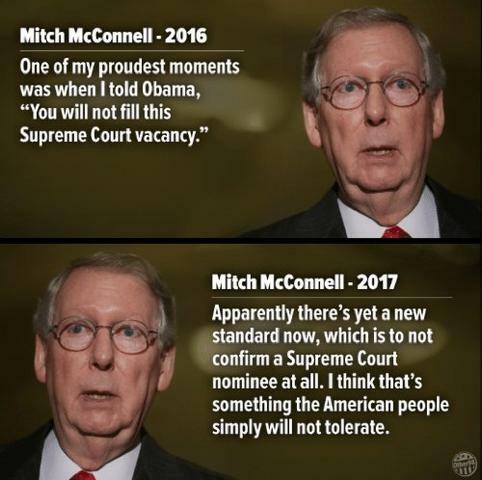 Only Republicans are allowed to block Supreme Court nominees. Justice Scalia dies on Feburary 13, 2016. Obama nominates Garland March 16, 2016. Well then that’s the guy I want to be President!!!!! Jebus! 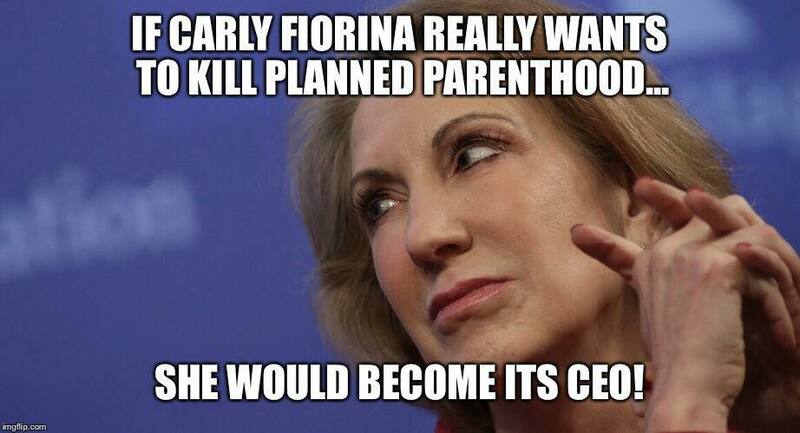 Your OK with a future ‘leader of the Nation’ to not know much about the issues? 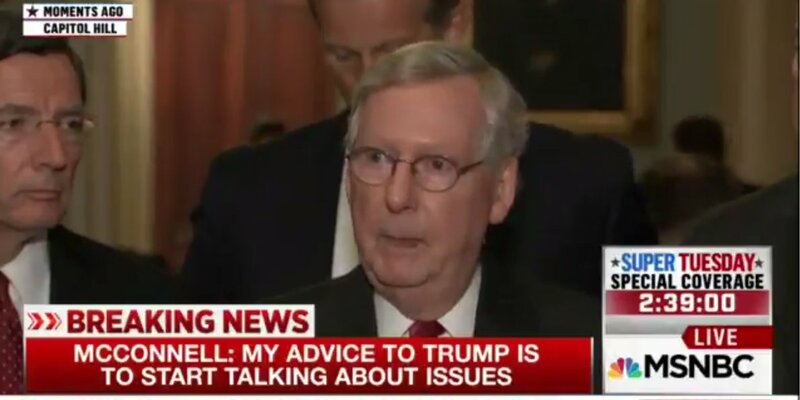 “He needs someone highly experienced and very knowledgeable because it’s pretty obvious he doesn’t know a lot about the issues,” McConnell said’. 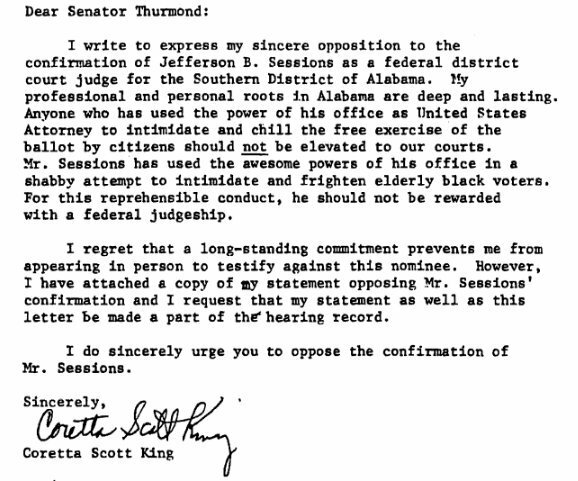 “On Feb. 3, 1988, McConnell and literally every other GOP senator voted to confirm Supreme Court Justice Anthony Kennedy. This was during President Ronald Reagan’s last year in the White House, and at a time when Democrats controlled the Senate”. selection of their next Supreme Court Justice. Americans DO have a voice. 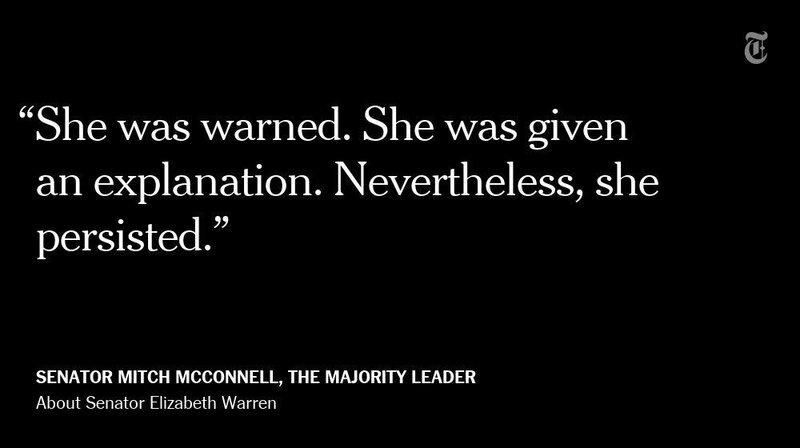 You have a majority in the Senate. Let’s wait a full year to fill the seat. After all….Republicans are the Party Of No. Why, why can’t we have a functioning Government? Yes……..Let’s take old people and not give them a cost of living raise and at the same time…..raise the age they can apply for Medicare. ‘Significant changes to Social Security and Medicare in exchange for raising the debt ceiling and funding the government’. ‘And new restrictions on Medicare, including limiting benefits to the rich and raising the eligibility age, several sources said’. Oh boy! 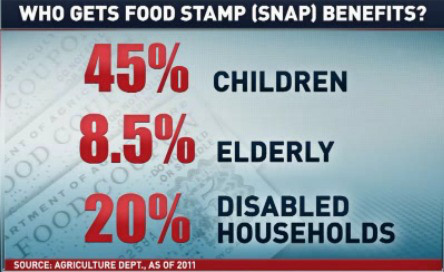 More Republicans just making stuff up to feed their low infornmation base. Mitt Romney would be so proud. ‘Fetal cells were used to develop the original polio vaccine and are still used to make vaccines for rubella, shingles, chickenpox and an experimental Ebola vaccine. The tissue is critical for studying conditions that affect the health of fetuses and newborn infants, brain injuries in the womb that lead to cerebral palsy, and eye conditions that lead to macular degeneration’. 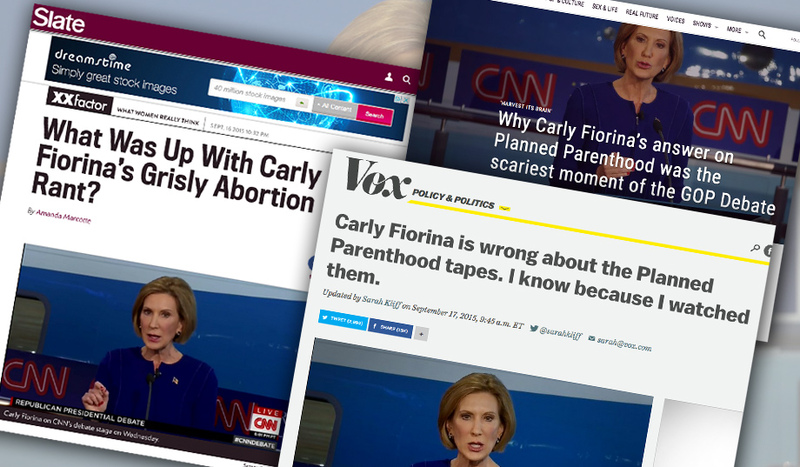 ‘Fiorina was asked provide proof of her bogus claims made during the debate about Planned Parenthood, but her campaign could provide nothing related to her statements’. DICKERSON: “Let me ask you about those Planned Parenthood videos. Have you watched them”? CLINTON: “I have seen excerpts from them. And I have certainly read about them”. “And what I am troubled by are the misleading, inaccurate allegations about them that we heard from Republicans at their debate. 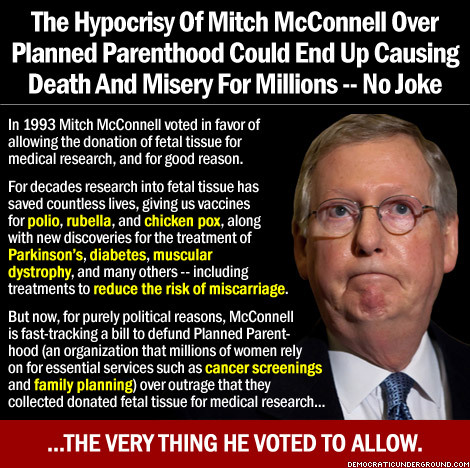 This is really an attack on Planned Parenthood, which provides a lot of health services, from cancer screenings , to contraceptive services, to so many other of the needs women have”. “And to shut down the government, which some Republicans are advocating, over funding for Planned Parenthood, which takes care of millions of women’s health needs, is just the height of irresponsibility”. DICKERSON: “That’s the policy debate this has turned into. But what was your reaction just when you watched them”? CLINTON: “Well, look, as Planned Parenthood has said, these were misleadingly edited. They were intentionally taken out of context”. “The fact is that, if we want to have a debate in this country about whether we should continue using — or doing fetal research, then it’s not only Planned Parenthood that should be involved in that debate. All of the experts, all of the scientists, all of the research institutions, everybody who is looking for cures to Parkinson’s, for example, should be asked, should we continue this”? “But so far as I am aware, what they did, despite the way it was portrayed, is within the laws that were set up for this”.